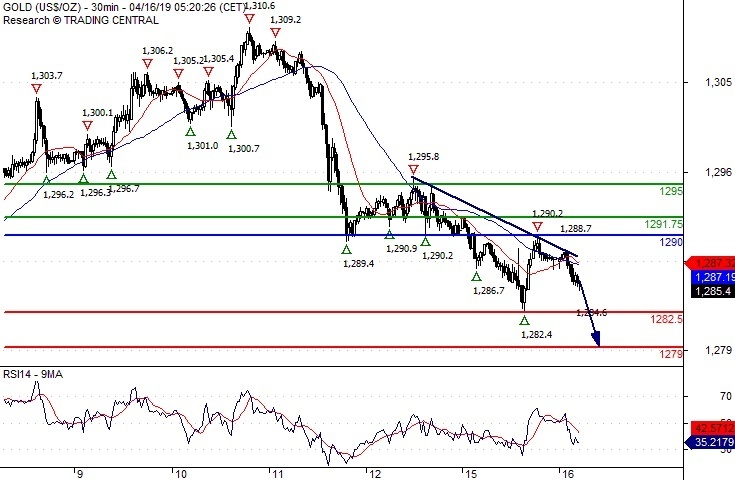 Our preference Short positions below 1290.00 with targets at 1282.50 & 1279.00 in extension. Alternative scenario Above 1290.00 look for further upside with 1291.75 & 1295.00 as targets. Comment The RSI advocates for further downside.